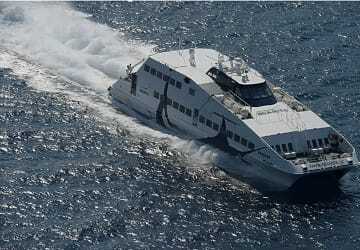 The Rafina Paros ferry route connects Athens with Cyclades Islands and is currently operated by 3 ferry companies. 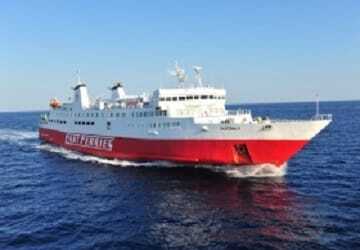 Cyclades Fast Ferries operate their crossing up to 7 times per week, Sea Jets 3 times per day & the Golden Star Ferries service is available up to 3 times per day. 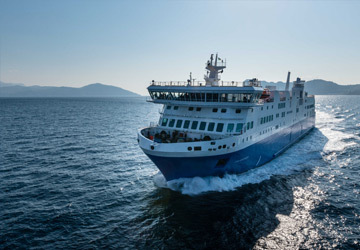 There are a combined 49 sailings available per week on the Rafina Paros crossing between Athens and Cyclades Islands and with 3 ferry companies on offer it is advisable to compare all to make sure you get the best fare at the time that you want to travel. Prices shown represent the average one way price paid by our customers. The most common booking on the Rafina Paros route is a car and 2 passengers. 5 hours route from Rafina to Paros and same to return, the deck space did not offer that much to seat so we spent time on few seats close to the reception. The ship is nice, clean and well maintained, professional and helpful staff. Middle-High level. quick comfortable trip in business class. The wind was up on the return trip so running a little late. I think the skipper kept the boat closer to the island chain to shelter us so didn't feel too rough. "Good ferry crossing Rafina Paros"
All good. Ran on time. Comfortable seating, snack bar, air conditioning was almost too cold! Left on time, arrived on time. Thank you to Sea Jets for getting us to Paros safely! Closer to the airport than Piraeus too. Overall this was a pleasant experience. The boat was punctual and comfortable. The only problem was that finding your seat was very difficult due to poor signage. I would suggest that it would be helpful to have more members of staff to guide disoriented customers or clearer signage. On the way out, our boat was cancelled and we weren't notified. We came very early and ended up on a later and much slower boat. A partial refund was made there, without indemnisation or excuses. On the way back, the express boat was delayed by an hour and a half. 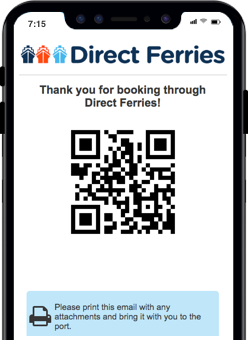 We were notified, but we paid for an express boat which was slow. Excellent ferry, staff on board very friendly and helpful: they shown us our seats and constantly checked our luggages. I can't be satisfied with the departure as we left about h1 later than scheduled and this also happened on the previous days according to other passengers that travelled with the same operator.